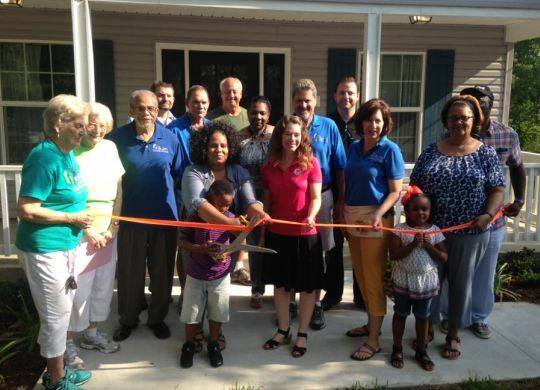 The Ginger Ford Northshore Fuller Center for Housing had two home dedications this past weekend in Hammond, Louisiana, and this weekend is welcoming a team from Salem Reform Church of Little Rock, Iowa, for a one-week build in Pearl River, Louisiana — The Fuller Center’s first in that city. The first home dedication Saturday was for Daphne Vernon, who cut the ribbon on the 1,050-square-foot home she now shares with her 5-year-old son, Aaron. Home dedication for Mark Miley. The second home dedication Saturday was for Mark Miley, who is looking forward not only to raising his young sons Michael and Luke in the home but also to paying it forward with volunteering beyond his required sweat equity. Like all Fuller Center homeowners, Vernon and Miley will repay the costs of the materials on terms they can afford, over time, with no interest charged and no profit made. Those payments go into a local fund through which The Fuller Center can extend the hand of partnership to more local families in need of simple, decent places to live. That kind of capacity will be on display next week in Pearl River, as will be yet another Fuller Center tool — partnership. Salem Reformed Church of Little Rock, Iowa, longed to spend a mission week serving others in the United States. 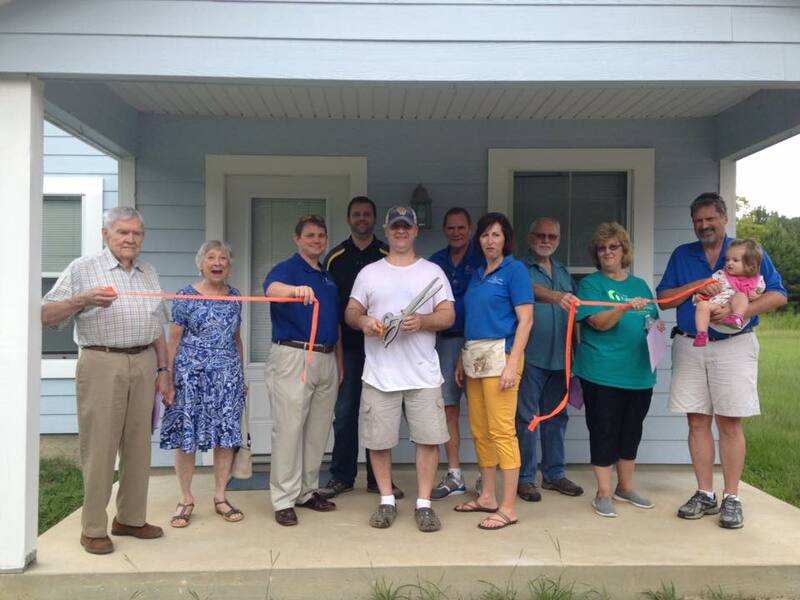 The charitable outreach group Compassion Pearl River was eager to help a family build a decent home after 10 years of living in a FEMA trailer following Hurricane Katrina. Ginger Ford Northshore is bringing those forces together and using a CrossRoads Missions wall package assembled by YouthBuild members. The build, which will be Ginger Ford Northshore’s 27th project of the year (including renovations and repairs) begins Monday.